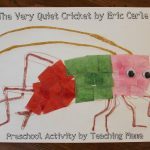 We took a week off from learning about bugs and insects, but now we are back at it! 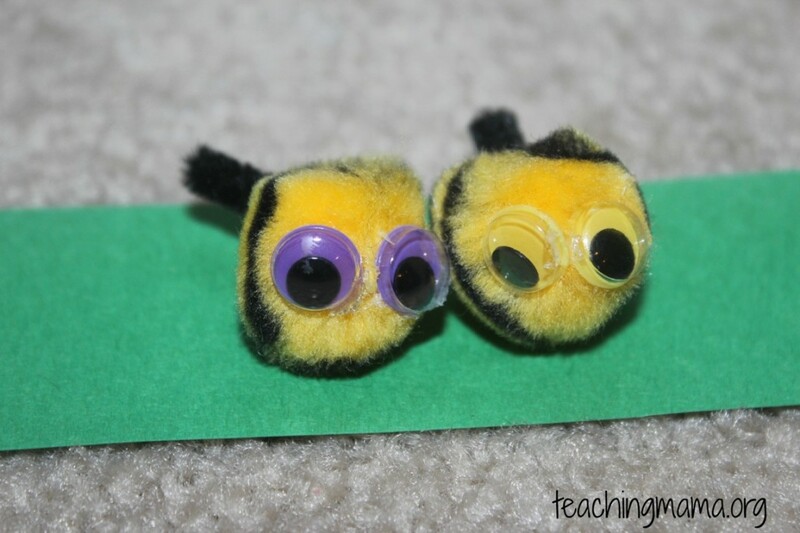 This week we are learning about bees! We see them all the time during the summer, so I thought it would be appropriate to learn a little bit about them. 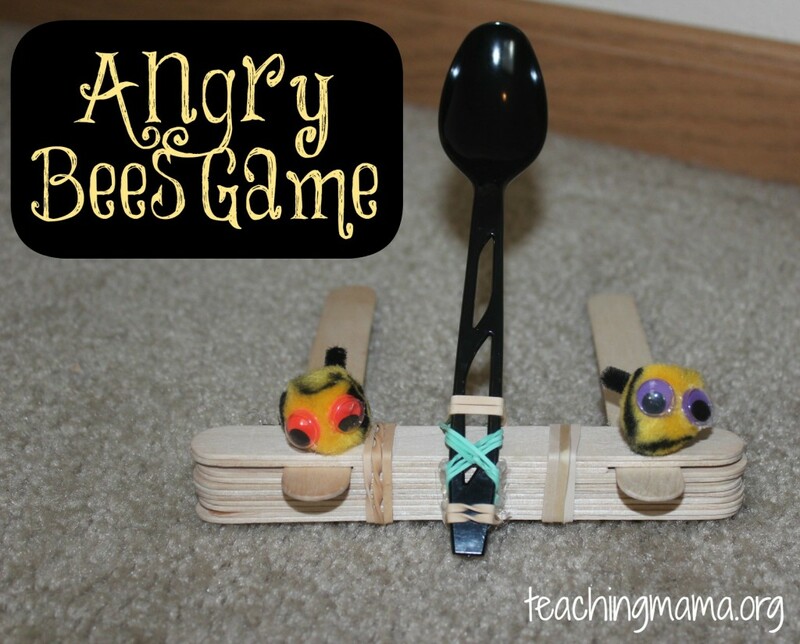 To start off, we played a fun game called Angry Bees! The bees are not really angry in this game, but since it reminded me of my son’s Angry Bird game, we decided to name it after that. 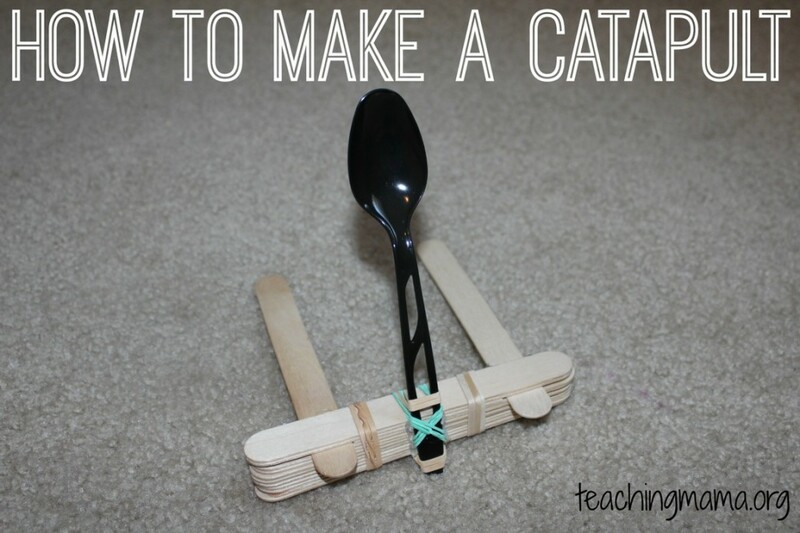 I got the directions to make the catapult from this awesome kids activities book written by my blogging friends. Cut 2 inches off each end of one craft stick with scissors. Stack 9 craft sticks. Add the shortened one and then put two more on top. Wrap 2 rubber bands around the bundle, about a third of the way in from each end. Place a plastic spoon in the center. Wrap a rubber band on each side and crisscross the rubber bands to keep the spoon in place. 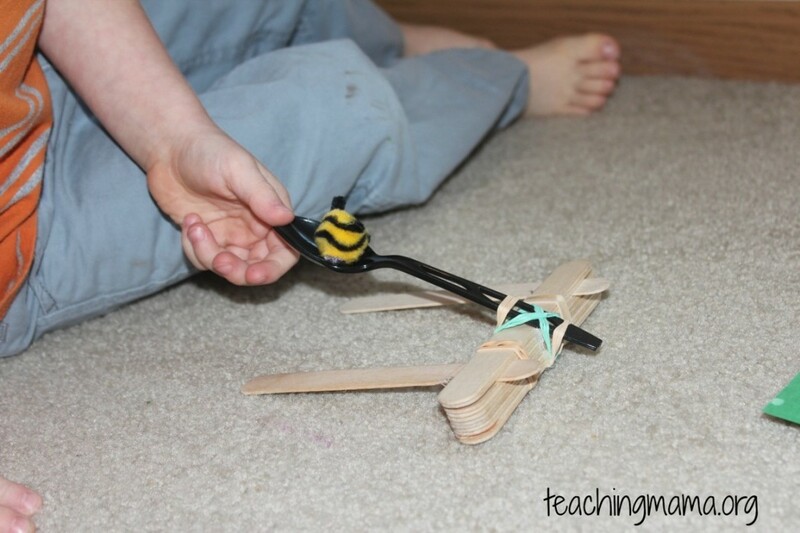 Take another rubber band and loop it on the top and bottom so that they are around the front of the spoon above and below the craft stick bundle. Insert two craft sticks into the space created by the shortened craft stick. Simply glue googly eyes onto the pom poms. Then glue on a small piece of black pipe cleaner for the bees stinger. I used a hot glue gun so they would stay on well. You can make as many as you’d like! 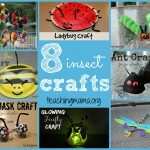 I made 8 bees. 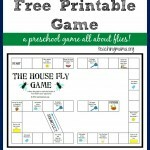 For the game, your child will use the catapult to launch bees across the room to land on a giant flower. Since bees love flowers, the goal of the game is to have the bees reach the flower. The next thing you will need is a big flower for the target. You can draw one on construction paper. I decided to use sticky contact paper. 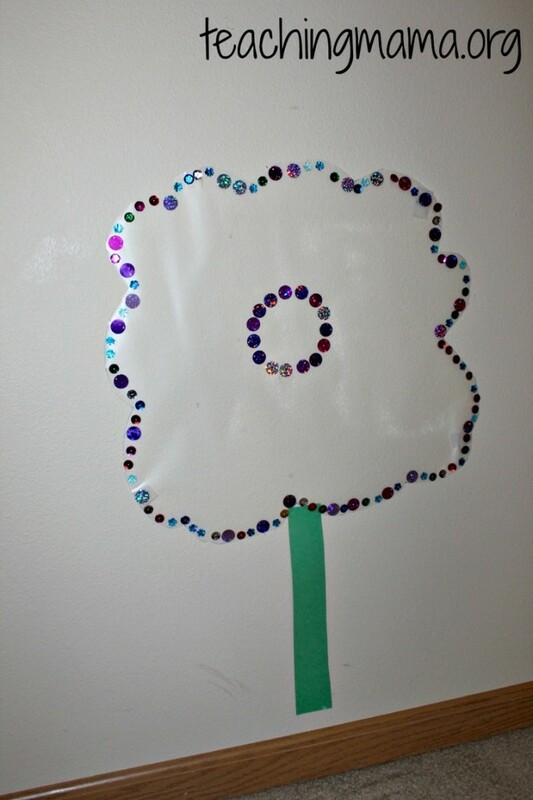 I cut a flower shape and had my preschooler help me stick on sequins around the edges. This was just for fun and to make it look like a flower! 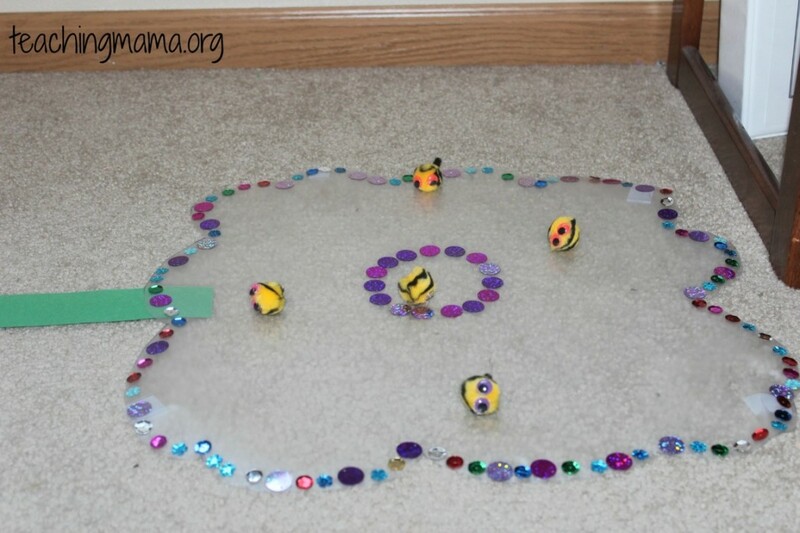 We also made a circle in the middle using sequins. I had intended for my son to launch the fuzzy bees to the sticky flower on the wall, but I quickly found out the bees did not stick very well. So I changed the plans and laid the flower on the ground. I had him launch the bees to see if they could land on the flower. If they landed in the center, he got 5 points and anywhere else on the flower was 2 points. 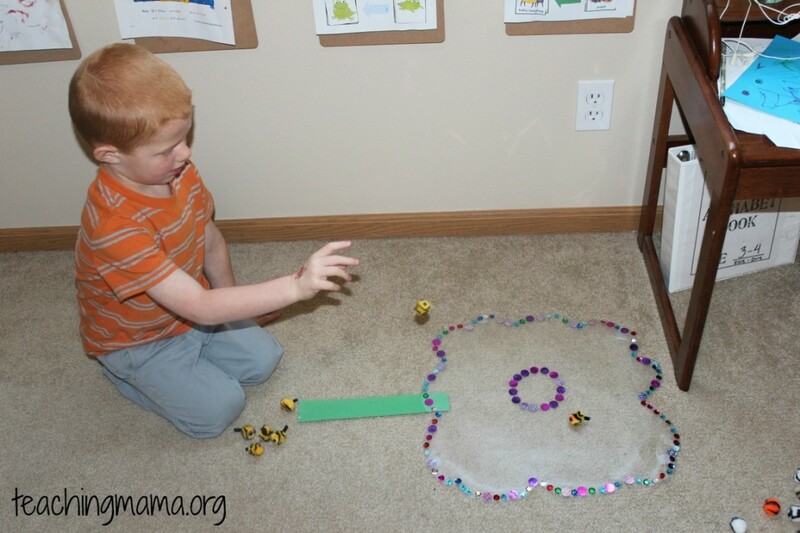 His goal was to get to 15 points with his 8 bees. After playing a few rounds, we decided to forgo the catapult and just toss the bees onto the flower. 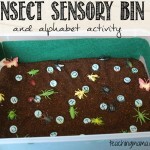 This was actually good practice for gross motor skills! 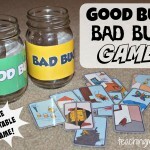 We had a lot of fun with this game! 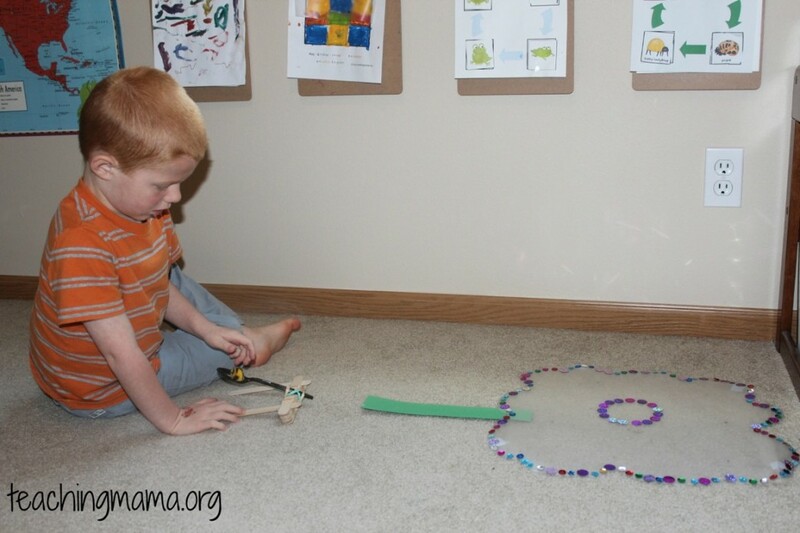 It does take a little bit of time to set up, but you can reuse the materials for other activities. 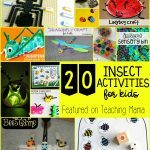 Stay tuned for more bee activities coming up soon!